Take to the sea on an interactive pirate adventure! Red Dragon Pirate Cruises is an adventure for the entire family aboard a custom 70-foot pirate ship. Embark on the waters of Aransas Bay for more than two hours of pirate-themed fun. Kids and adults of all ages will enjoy the costumed characters, sword fighting, water gun battle, treasure hunting, dolphin watching, and storytelling. Book your trip on Red Dragon Pirate Cruises seven days a week. 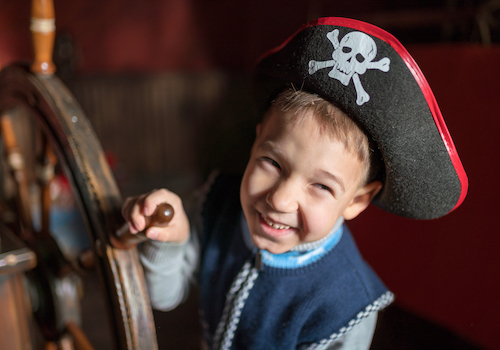 Pirate adventures take place every day from 1 to 3:30 p.m. and every day except Monday and Thursday from 4:30 to 7 p.m. Tickets cost $36 for adults and $25 for children. Red Dragon also features a sunset happy hour cruise from 5 to 6:30 p.m. daily. The sunset cruise costs $20 for adults and includes one free drink. Check regularly for specialty cruises like the 4th of July Fireworks Cruise. Food and drinks are available on every cruise. Get light snacks, soda, juice, and adult beverages for those of age. Don’t forget to snap a photo before boarding with the captain and crew. Come experience the Texas Gulf Coast and create long-lasting memories with the entire family. Use our Port Aransas travel guide to explore the area's best attractions, activities, and things to do. When you book a Port Aransas vacation rental with Starkey, you have a trusted local guide to help plan the trip of a lifetime.